I wanted pizza tonight. I had planned to make my own but stumbled upon this GF Amy's product in the market tonight. Everyone raves about Amy's products so I thought I would give it a try. For the record, I was in no way compensated for this review. I got in my car, drove to my store, bought it with my moola, and drove back to my home to bake it up. I have a receipt to prove that I spent $9.99 on this tiny pizza. Living GF is about three times more expensive than living gluten full. 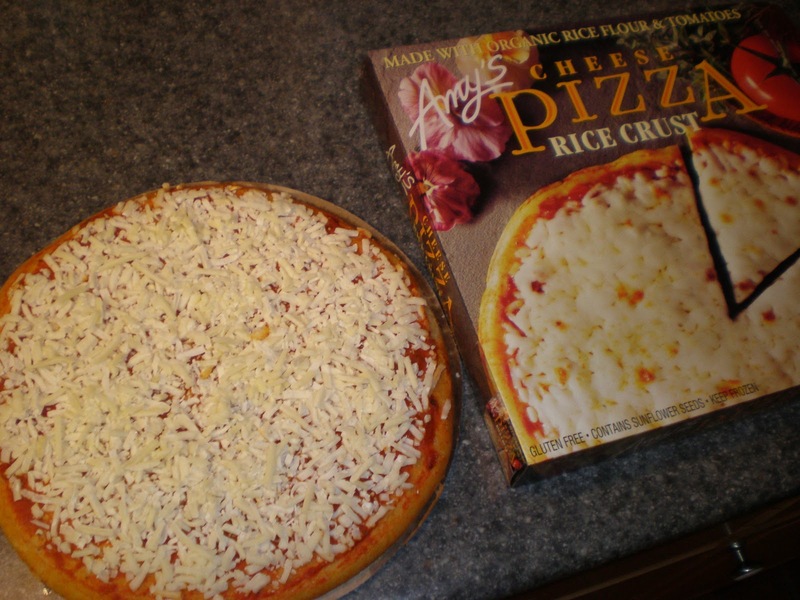 But before we get started, let me point out a flaw in the Amy's company marketing plan. 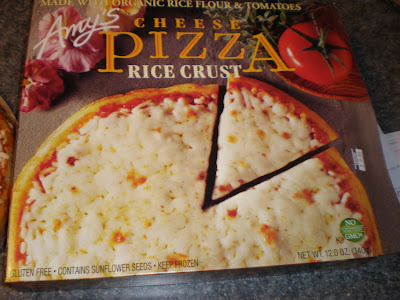 I first suspected this might be Gluten Free because it stated rice flour crust. But I had to pull it out and search the whole box to find out if it was in fact, GF. Can you see it on the box? It's in the bottom left corner in small writing. Maybe they just expect GF folks to automatically know that this is a GF product but it is a crappy way to entice new customers to try the product. Don't make me work hard to figure out if you are GF. Proclaim it. Loud and proud. So this is the size of the pizza next to a glass 1 cup measure for your reference. It's quite small. I'd say about the size of 1.5-2 slices of NY pizza. I also added extra cheese on top because I had some in the fridge. 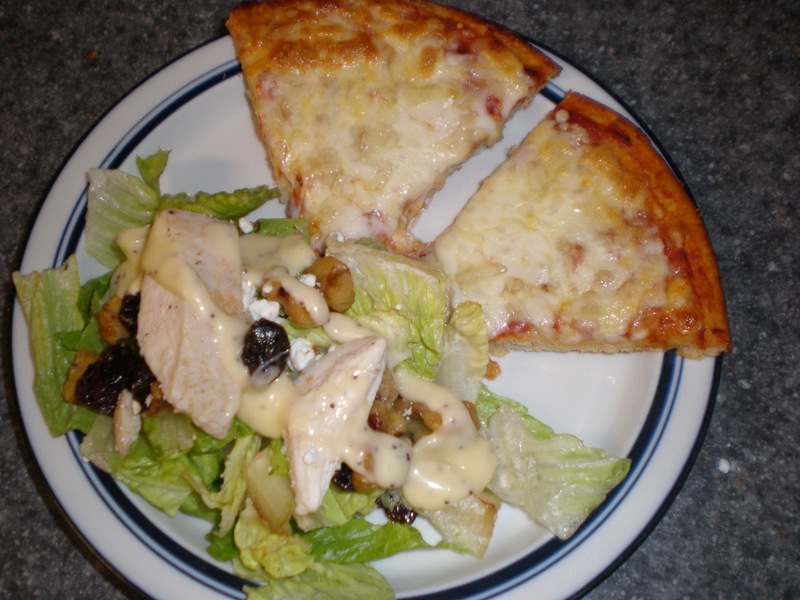 And here are a few slices with some salad. The results are that it is OK. Not great. Maybe not even all that good. But it wasn't bad either. A solid C. I know that there are better possibilities. And I am determined to make my own this week that is far tastier, healthier and cheaper. I don't want to bash the product. It wasn't terrible. But the crust tasted very GF. Gritty and with an odd aftertaste. I have found over the last month that if I make things myself, they turn out nearly as yummy as the original. And that is my goal at the end of the day. To be kind to my insides but mind my pension for lots of yummy flavor too! I have never thought about going gluten free. Funny enough though, I was making spaghetti the other night and pulled out a jar of Prego (I tend to use jar sauce as a base, add meat, spices, a little sugar, etc). As I was emptying it out I saw a picture on the label stating that it is a gluten free product. 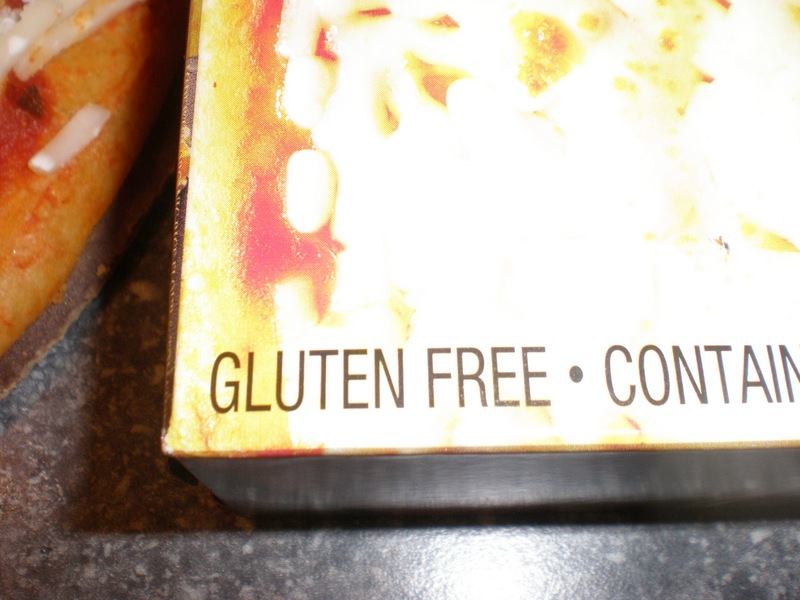 This was curious to me since I generally think of gluten products being more carbo/bread products. I've found using Teff Wraps flat with your favorite gluten free toppings to be the best pizza. 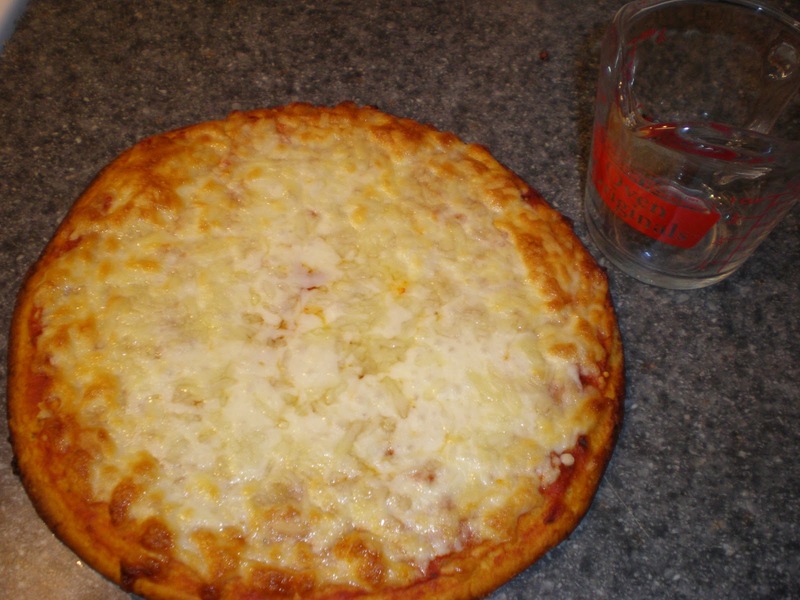 It's not "pizza" as we traditionally know it, but it tastes much better to me than the rice crusts. OMG. I eat that pizza like crazy! Glad to meet another Amy fan! Try the Spinach one! I eat it once a week. And her frozen "Indian" food is good too! I so wanna try the GF pizzas at Mellow Mushroom and Buckhead Pizza (local place here). I can't do the cheese though. But they probably have something good on the menu sans cheese. I haven't tried Amy's pizzas, but I have gotten several of the frozen meals that are GF+DF. Not bad! And just nice to have a GF/DF option that is quick and easy. The thing I've discovered with this diet is that is just requires a lot of intention and planning... so anytime I find a quick and easy meal solution, I try it!